Creating music as an ensemble and as a community is incredibly rewarding. When we sing together, our bodies release oxytocin which increases feelings of bonding, pleasure and trust and studies suggest that hearts literally begin to beat as one as we sing. 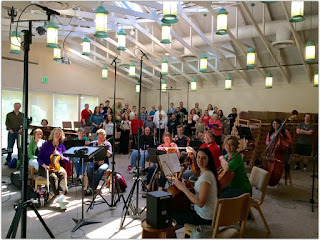 My current ensemble projects include the Tacoma Refugee Choir founded in Fall 2016, Community Sing-alongs making their debut in the Fall of 2017 and annual productions of Rob Gardner's Lamb of God. (link to each there and also a drop down tab from above for each of these). 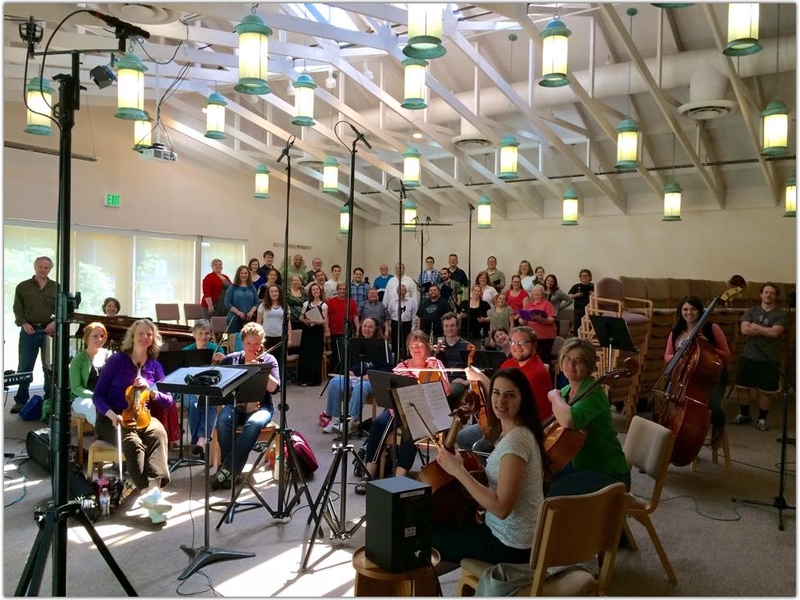 Tacoma Refugee Choir is a diverse, non-auditioned choral ensemble dedicated to using music’s exceptional power to foster unity, joy, and meaningful action and dialogue. This group aims to be a positive voice in the community for kindness and compassion and our songs reflect goals of positivity and inclusivity. We recently recorded a song titled "Everyone Has a Song" featuring Vicci Martinez, Wanz, QDot, Stephanie Anne Johnson, Jason C. Kertson, Emily Randolph, Nalini Krishnan, Caleb Barsh, Kimberley StarKey and members of the Tacoma Refugee Choir. It is scheduled for release on September 15, 2017. I had the opportunity to conduct and direct the world premiere performance of this LDS fireside program by Mark Mitchell and Orson Scott Card. The sheet music is available at this link. was a delight to direct and conduct in July 2013. To view the complete production, click on the icons at this link. Music direction has included work on Hairspray, The King and I, Once Upon a Mattress, and Side Show (nominated for a 5th Avenue Award for Best Music Direction) as well as Savior of the World.